Lives and works in Copenhagen, Denmark. Represented by Heller Gallery, New York City, USA. 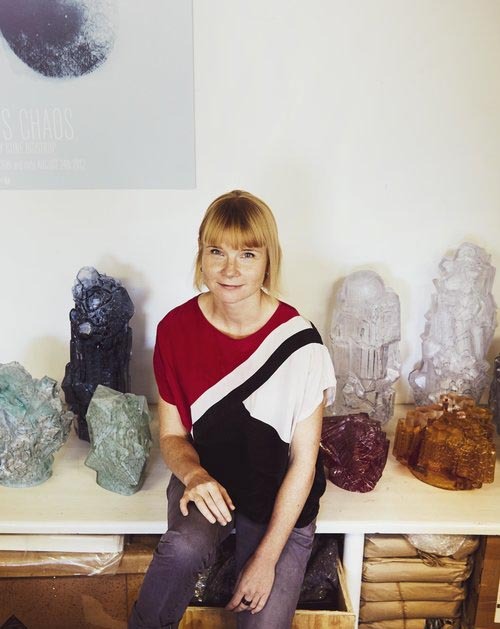 Stine Bidstrup is a Danish artist whose work explores optical phenomena, and interprets and brings past ideas about utopic social and architectural visions to life through glass sculpture, installation and video. Her curiosity revolves around the power of perception and power of context and point of view in constructing our understanding through vision and how the human eye and mind are always engaged in myriad determinations and negotiations. Bidstrup has taught at the Royal Danish Academy of Fine Art, School of Design on Bornholm since 2009, and was a visiting lecturer at the University of Wisconsin-Madison in 2015. Together with fellow Copenhagen-based glass artists she founded the collaborative studio Luftkraft Glass Studio in 2007, and has exhibited nationally and world-wide for the past 15 years. In 2018 Bidstrup joined the exhibition council at the Glass Museum Ebeltoft. Young & Loving - Retrospective!